Sell ZTE Axon 7 | How Much is ZTE Axon 7 Worth? How much is a ZTE Axon 7 worth? A ZTE Axon 7 is worth $102 to $120 based on the condition of the cell phone. *Price subject to change. Quote in dropdown is final. 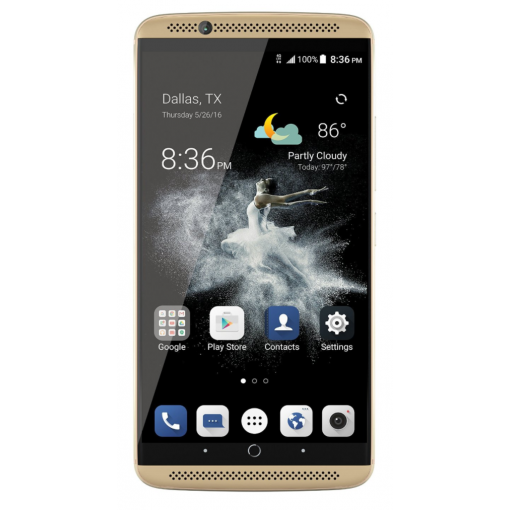 Find out how much your used ZTE Axon 7 cell phone is worth. Select a condition to receive a quote and get cash for your used cell phone today. Read the full description below for more details. Sell your ZTE Axon 7 for cash today! The ZTE Axon 7 has dual built in speaker and a fingerprint unlocking mechanism that they claim is "lightening fast". This phone has a 2K AMOLED color screen. This phone boasts 90% color saturation. At GreenBuyback you can sell your cell phone for cash in any condition. The phone chargers through a USB Type-C connection and that charger is required when you sell your Axon 7 to GreenBuyback. We look forward to paying you CASH for your Axon 7. Looking to sell another Android cell phone model?